Your ear-holes (canals), that is! Hearing protectors – you should buy some. I’ve got some slight scarring on my right ear-drum, likely due to too many loud concerts when younger. The last thing I want to happen is for tinnitus to develop. With tinnitus, you hear a constant ringing ALL OF THE TIME. It never stops. I had a mild case years ago (likely before my ear drum healed up) and let me tell you, it was AWFUL. You really don’t know what you’ve got until it’s gone, and I really missed the “sound of silence”. I used to think the cause was a hole in the ear-drum but supposedly that’s not necessarily the case (disclaimer: I’m not a health expert). Have you ever had ringing in your ears after a gig – possibly lasting until the next morning? Every time you get that, it can cause permanent damage. The noise levels at gigs these days can be horrendous and I’m always shocked to see people standing right in front of amplifiers at the front of a gig. I think it’s very irresponsible both of the artist and the venue! It’s not macho to damage your hearing. If you’re a musician, it’s even worse as your hearing will get worse quicker so you wont hear the same thing as you used to years before! I visited my local audiologist and had moulds made of my ear canal. These got sent off and I’m now the proud owner of ACS Pro 17 earplugs (17dB attenuation). I encourage you to check them them out (or anything similar). They’re barely noticeable when inserted into the ears and after band practice and every gig I play or attend, I never hear any ringing and I feel a LOT better for having protected my hearing. There is an even better way to do things if you gig, and I’m guilty of NOT doing this. I tend to stand in front of my loud amplifier with the hearing protection in – the amplifier has to be loud to reach the back of the room and it’s not ideal for those high-intensity sound waves to be pounding away at you. A better way is to mic up the amplifier (to the mixing desk and then through the PA) such that it’s not blaring at you, and use in-ear monitors (the sound guy can route a mix back to you through your ear-plugs!) – again, ACS earplugs can handle this. If you have a good sound guy, it’s also a much better way to control the sound at a venue. One bit of bad news, and I hope you’re not one of the unlucky ones… I’ve hear that tinnitus can sometimes just “develop” as you age or after you have had a specific medical condition. One incident that pops into my mind was somebody who got tinnitus after a bad bout of chickenpox in his later years. Very unlucky for him as he was a gigging musician and always wore ear protection! I endeavour to do some youtube videos on technique (and perhaps include some photos here), but in the meantime…. Legato is largely used to describe hammer-ons and pull-offs (using thy fretting hand). Hammer-on: your finger-tip hammers down onto the string in order to sound a note (e.g. from fret 3 to fret 5). Typically if playing one string, you hammer onto a higher-pitched note from a lower-pitched note but some players like Alan Holdsworth (and perhaps also Brett Garsed) in fact can play using hammer-ons only (he’ll lift his finger off fret 5 and hammer onto fret 3). Pull-off: your finger is already on the string and now “plucks” it in order to sound a note of lower pitch. E.g. pull off from fret 5 to fret 3. Now, the trick is in mastering these techniques. Remember my top tip regarding tension and read on. Perhaps I analyse this too much, perhaps not. I was held back for years because I thought that plucking the string (for a pull-off) meant that you had to have the note fretted with the VERY TIP of your finger such that your finger was arched a lot. Then when you plucked the string the finger pushed into the fretboard. The problem with all this is that the very tip of your finger is such a small area – you can easily miss the string (the target) – especially if there is any sort of tension in your hand! Arching your fingers too much also just doesn’t feel natural (though is used by classical players, and helps for allowing chords to ring clearly). 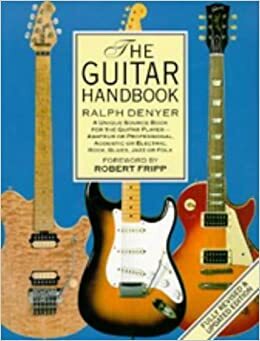 At the same time you don’t want to fret the notes with the pads of your fingertips as I see some players doing (80s shred players with their fingers near flat on the fretboard) – imagine trying to play chords like that – half the strings would be muted! So there is a balance to be had. Since I used to fret the string with the very tip of the finger, it meant that when I plucked the string, the fingertip would go toward the fretboard and underneath the string below it. In a way this produces a strong note and there is less chance of you sounding the neighbouring string if your muting isn’t up to scratch. But pulling off should not be toward the fretboard. Neither should you just lift your finger off the string as there is no force there. You should pull off such that your finger leaves the string at a 45 degree angle (toward the floor and away from your body) and finishes above the neighbouring string (or in that general area) so that it can come down for a hammer-on quickly. Hammering on with the index finger trips some people up (myself included, at times!) and the biggest one of all is independence between the ring and little fingers. Try running up and down scales (musically) for 5 minutes, non-stop, on all strings (across strings and along one string – even string skip!) first with eyes open to monitor your hands and second with eyes closed to feel for tension. To take things even further, I even consider the three parts of the finger (the main part attached to the hand all the way to the tip) and ask myself – what is producing the force? Surely the main joint? But if it is hammering down onto the tip area, does the tip “guide the finger” (pull it down) or what? When pulling off, is most force coming from a little flicking motion in the tip? Or is it due to the main joint again just pulling away? You know, even I don’t think I’ve convinced myself fully of the answers (I’m sure it’s a combination), but you can see I analyse it heavily. It’s a good idea to take a strong finger (the middle finger) and analyse what it’s doing as it usually performs its function well with little training. Learn from it! Lastly, remember to close your eyes and FEEL what is going on. Remove any tension from your playing! “Well, I’d like to sing along, but I don’t know my ABC”. You don’t want to be caught saying that. Ruuuumbled! Do yourself a favour in the early stages and learn the notes on the fretboard. Yes, it takes time. But it’s so much more professional and when you get to a more advanced stage it will help you massively, trust me. When you play in a particular key (let’s say G major), you don’t always want to start at the 3rd fret on the low E string because that’s the only G you know… Also try to learn the intervals relative to whatever note you are currently playing. E.g. we all know if you move from the A string to the D string and move two frets up, that is a fifth (power-chord, anybody?) – expand that to the limit. It’s still highly relevant. The start covers guitar construction and famous guitarists. It then delves into a well summarised (applicable) music theory section for guitar. Seriously good. And then ends with sections on technology, stage performance and the like. Depending on just how seriously you want to take things, you may wish to be able to sight-read music. To be honest, I mainly use guitar tabs and my ears! Musical notation has never been high on my list due to time constraints (practice smart!) but if you have the time and inclination, do it. I found this tape to be hilarious at the time. 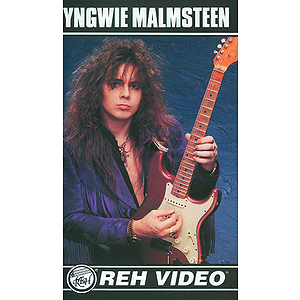 Yngwie (a notoriously amazing alternate picker – he gets some “stick” but his album Rising Force was a masterpiece) would play these lightning fast passages and then claim to play them at a lower speed. If the fast speed was 120mph then the slow speed was 118mph. If you’ve seen this video, you’ll know what I’m talking about. There are sooooo many other references I used whilst learning (and hey, I still am – you can never stop!). I learned whilst the internet was only just becoming popular, so it wasn’t easy. A friend of mine got this mail-order course called “fast fingers” which came with orange booklets and accompanying CDs. I learned from that. He also had this Wolf Marshall video which was basically Wolf (what a name, what a guy!) showing us the licks of Guns N’ Roses – highly inspirational. 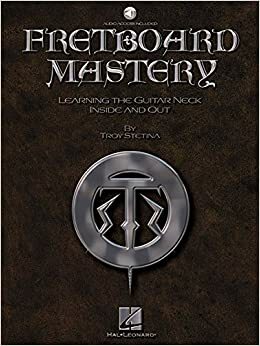 I learned several albums (most G N’ R albums, Satriani’s “Surfing with the Alien,” that sort of thing) and individual tracks (learning songs that inspire you is VERY important as it keeps things fun). I read the “Jazz Guitar Book” and learned from it, though admittedly jazz is not a style I am interested in. I got a flamenco DVD course from which I learned a few techniques, but I decided to stick to my core strength and desire: rock guitar (never spread yourself too thin by trying to learn it all, unless you are Mega Man or Guthrie Govan!). There are too many sources too mention. These days I’m currently signed up to jamplay which I find interesting, if for the “Artist Series” and games such as their “fretboard knowledge” tool. One thing I will say is this. With so many sources of information available, I think there is complete information overload and that this may not be the best time in which to learn! Be careful to review learning materials and don’t go over the same ground too much. One reason to know your scales on the fretboard, inside out, is that it can hamper technical progress! If you’re trying to blaze away up and down the neck but you’ve got a mental block over which shape to play next, that will more than likely result in your hands tensing up a tad. You need to know your scales/arpeggios/whatever you use (!) and be confident. Confidence is a big thing. That’s all for now. I may edit this post at a later date. Top Tip #3 – Enter the Dragon – Release the Tension! Tension in the hands and arms typically occurs when guitarists try to play at speed. Hell, even a “sold-my-soul-at-the-crossroads” Adonis such as myself can feel the tension at times. In order to play something effortlessly and at speed, does it not make sense that tension should be minimised? It should feel like you are floating on air, not gripping a stress ball. Release the tension or the tension will impede your progress as a guitarist. I don’t know about you, but I want my core techniques to be SOLID – so I have spent a lot of time in particular honing my legato and alternate picking technique (after 15 years I am now undergoing further developments – you should not be scared to alter your technique like this). Try these two things when you practice. 1. Visually look at your hands and arms. Take your hands away from the guitar (holding the same shape they were previously in) and if they look like vultures’ claws, something’s wrong. Technical improvement requires you to visually look at what your hands are doing (many more top tips to come that are related to this). 2. Even more important is FEEL. The ideal is to be able to close your eyes and play anywhere on the fretboard with ease. If you close your eyes (seriously!) and focus on how it FEELS to play… one sense is removed (sight) and you will find it easier to focus on where the tension lies in your playing. There are many, many little variations you can make to your technical playing and I personally have obsessed over many of them! Only you can decide which is best for you, though there are widely accepted norms (see other top tips). 3. Playing at speed will really highlight weaknesses in your playing. Playing at speed can also require different technique, for example in terms of alternate picking. So – try playing at different speeds but remember that accuracy is more important than being able to play fast and only hit 7 notes of out ten (which really isn’t playing well at all). 4. Endurance. For every technique (legato, picking etc) you should take on exercise and do it for FIVE WHOLE MINUTES. This is a long time to do one technique. Likely you will get bored and say “this is a waste of time” – maybe because things start falling apart after the 30 second mark. Well, that’s not good enough. It means your technique isn’t quite there. Top Tip #2 – Practice, not Purchase! “GAS” stands for gear acquisition syndrome. We all know the story about the golfer with the best clubs who can’t hit the ball. Hey, if he’s happy, then more power to him (or her!). But real power and fulfilment lies in mastering your art. So forget about purchasing the next big amplifier/guitar/pedal/spandex – it’s a distraction. The same goes for owning too many tuition books and never working through an entire one. Procrastination! Anything worth doing will require some serious time and effort so start focusing on the playing because like KISS say – “if you wanna be a singer or play guitar, man you’ve gotta sweat or you won’t get far, coz it’s never too late to work 9 to 5.” Ne’er a truer phrase was spoken (just amazing lyrics, honestly..!). If you don’t wake up each morning and think “phwoar, I really achieved something yesterday” then you’ve wasted a day that you’ll never get back. Work towards a goal. Some people are scared of the goal (as if it’s the end of the line and all they want is for the adventure to continue forever) but let me tell you, when you score one goal on the “guitar pitch”, the goalposts move and another pops up. Practice in small bite-sized chunks with a strong focus and maintain your passion for the music. Top Tip #1 – Be Healthy and Rock On! What do you have at the start of your life and lose at the end? So, as boring as this sounds, take care of yourself or you may never be able to wield your axe of power again. This is my top tip #1. If you haven’t heard of the following, check them out (disclaimer: I’m no medical professional). As I type I can say that I am currently experiencing cubital tunnel syndrome. Using a computer all day at work then at home and resting my elbow on the car door rest as I drive does tend to put undue pressure on the ulnar nerve! That nerve, if “trapped,” can cause your ring finger and pinky to feel numb. Most people haven’t heard of cubital tunnel syndrome, so there you go. Now you know. Other things to look out for are correct posture (don’t slouch!) and also the relief of tension in your playing – but that’s for another time.